You can leave 401(k) assets to a trust if your employer permits. 1. What Happens to IRA Assets When a Person Dies? 2. Are 401(k) Plans Taxed When Death Occurs? You may be able to designate a trust as the beneficiary of your 401(k) retirement account. Leaving your account to a trust provides control over your assets when you die, ensuring the money will go where you want it to go. But there are rules and considerations to heed before designating a trust to receive your 401(k) legacy. Check your plan’s rules regarding naming a trust as your 401(k) beneficiary. The Internal Revenue Service's 401(k) rules let employers prohibit trusts from receiving periodic 401(k) payouts that are spread over the life expectancy of the trust’s beneficiaries. Many employers with 401(k) plans have exercised this option. It means the entire balance of the 401(k) will be turned over to your designated trust within one year of your death, which makes all deferred taxes due in the year the money is paid. If your employer’s plan does not permit life-expectancy payouts to a trust for its beneficiaries, consider rolling over the 401(k) account to an individual retirement arrangement or IRA that does allow this. If your 401(k) plan permits life-expectancy payouts to a trust for beneficiaries, there are IRS rules you must heed in setting up the trust. The beneficiary of the trust must be a person or people. 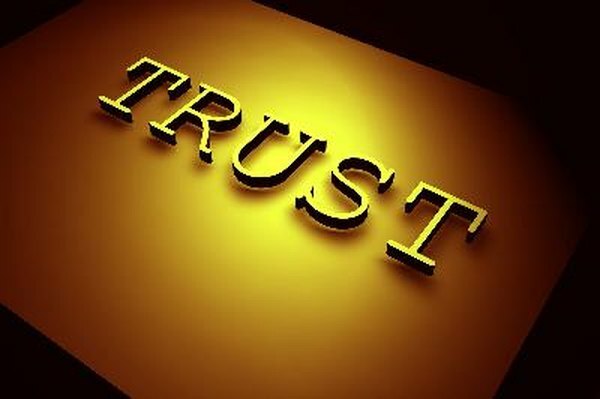 You can’t use a trust to leave your 401(k) assets to a charity, your church, your estate, another trust or any other entity. The IRS requires that 401(k) assets turned over to a trust must be distributed to the trust’s beneficiaries in minimum annual installments calculated according to the expected lifetime of the oldest beneficiary. Human beings have a finite life expectancy but an entity like a charity does not, so there is no way to figure a required minimum annual distribution to an entity. If you can designate a trust with life-expectancy payouts as your primary 401(k) beneficiary when you die, you must also designate a secondary beneficiary who will receive the assets remaining in your account when the primary beneficiary dies. The secondary beneficiary must also be a person, not an entity. The secondary beneficiary has no claim on the assets so long as the primary beneficiary is alive. To be valid as a 401(k) beneficiary, the trust also must be valid under your state’s laws, its terms must become irrevocable upon your death, the trust’s beneficiaries must be people named in the trust document, and the participant must file a copy of the trust document with the 401(k) plan administrator. The provisions in your will don’t count when distributing 401(k) assets after your death. Under IRS rules, the only document controlling disposition of your 401(k) assets is your beneficiary designation form. Your will cannot override the designation of a beneficiary on that form. If you don’t fill out a beneficiary designation form, half the money in your 401(k) account automatically goes to your spouse, if you are married, and the rest of the money will end up in your probate estate by default. Your spouse and the estate may owe all deferred taxes on the money in the year the money was paid.